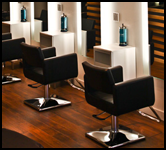 Come in for a relaxing salon experience and return for that glamorous Mousse style. Situated in Kitsilano right on West 4th. Free parking out front and minutes from the beach or downtown. Mousse stylists will have a look for either destination, for all occasions. Flexible and infinitely creative our staff gets on-going training and education to keep our talented team of hair dressers & technicians on top and in tune with the latest trends. Call today to book your appointment and experience the Mousse Sensation.